Tower is a virtual assemblage of music media memorabilia from a recently bygone age. It’s a celebration of the Tower Records Company, founded in 1960 by Sacramento native, Russell Solomon. He opened the store on Broadway and 16th in 1976. Tower Records grew into an international corporation dominating the industry through the 80s and 90s. The demise of the company occurred as vinyl records, cassettes, then CDs were made obsolete by the Internet and digitized media, and Tower Records closed in 2006. 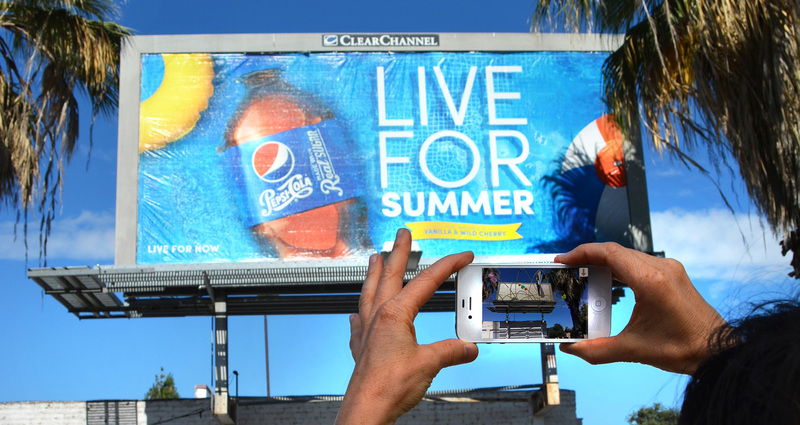 This piece reminds us of our recent media culture, experienced through the emerging media of Augmented Reality. Walking into the comic store on Broadway I stepped into a vibrant world of comic book teen sub-culture that I thought no longer existed; a culture where American brands like Marvel and DC continue to thrive. This piece riffs on comic book imagery and pop culture references. 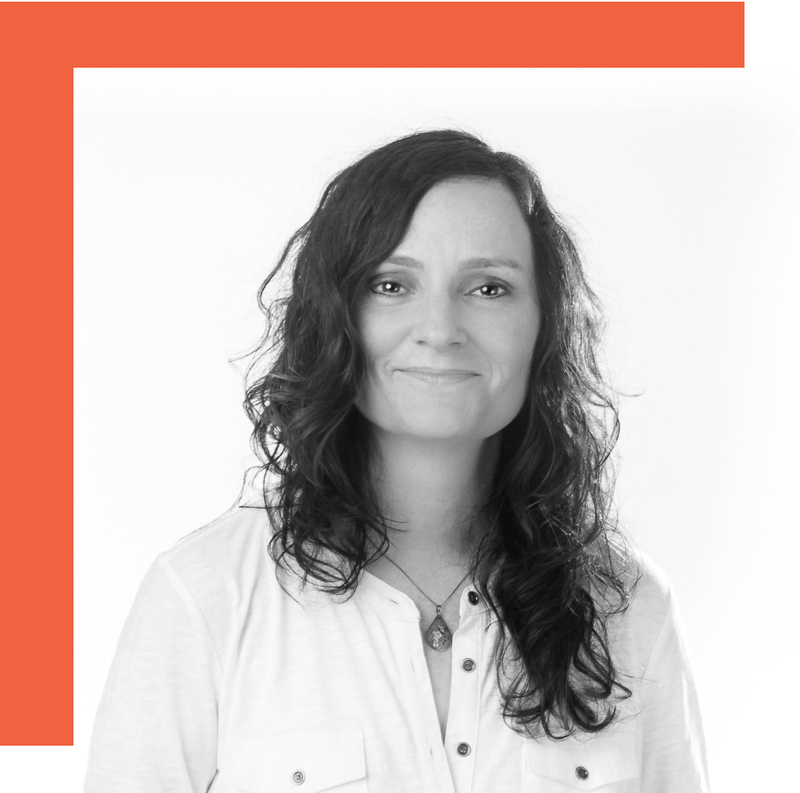 Rachel Clarke is an artist, writer, curator and educator living in Sacramento, CA. Clarke is Professor of New Media in the Art Department at California State University, Sacramento. She has exhibited throughout the US and internationally, most recently at Ars Electronica, Linz, Austria; WORK Detroit, MI; Aggregate Space, Oakland, CA; and Currents International Festival of New Media, Santa Fe, NM. Clarke is the founding editor of Media-N, the CAA New Media Caucus international journal; she was Editor-in-Chief of Media-N from 2005 – 2011, and is currently serving as an editorial board member. In 2011 she co-curated an exhibition of experimental 3D filmmaking with artist Claudia Hart of the School of the Art Institute, Chicago, entitled The Real-Fake: Simulation Technology after Photography. The show toured in the US in 2012. 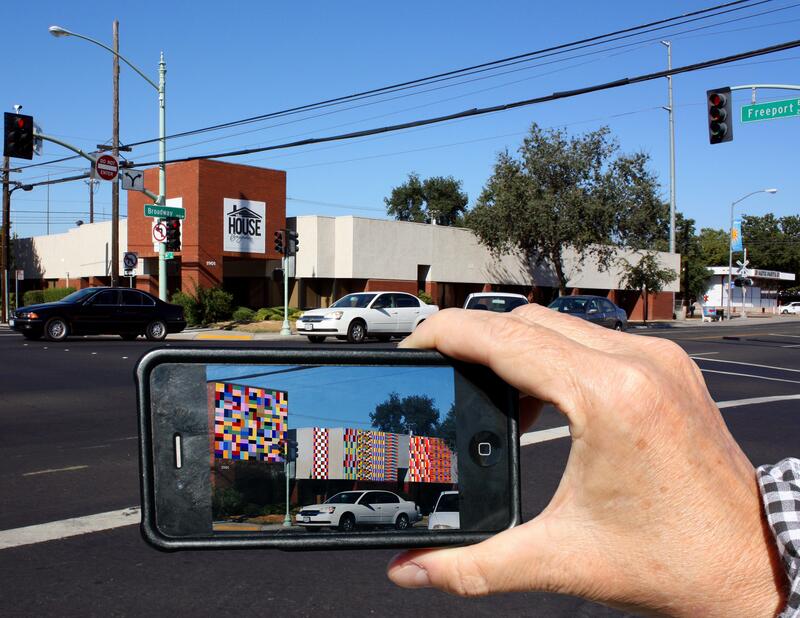 Clarke is currently working in collaboration with Sacramento Metropolitan Art Commission as artist and co-curator for the NEA funded augmented reality virtual public art project, Broadway Augmented, launching in fall 2014. BROADWAY BETWEEN 21st & 9th St.
Broadway Augmented is a temporary and virtual public art project on Broadway in Sacramento, California. 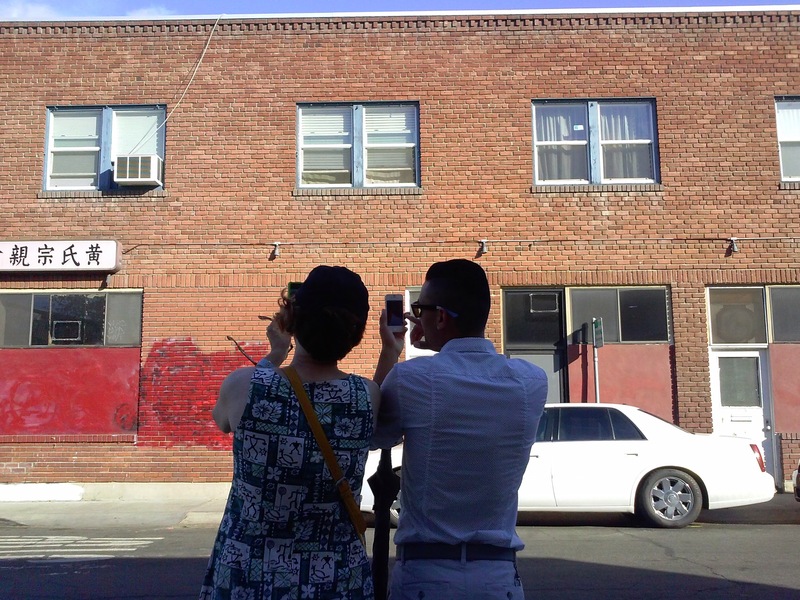 Eleven artists from around the country have designed public artworks for sites on Broadway that can only be viewed in real time on an Apple or Android phone or other smart device. 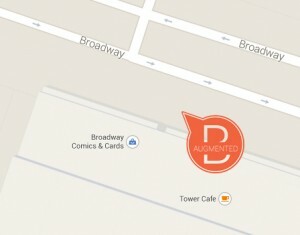 Two exhibitions have been produced, in conjunction with Broadway Augmented. One at the Robert T. Matsui Gallery in Sacramento City Hall and the other at the Sacramento Republic FC Offices. The Events and Exhibitions page for more information. Click HERE to make a reservation for a guided tour. Download and launch the Augmented Reality (AR) application (app) onto your smart phone. Note: the App will not be available until opening day: September 13, 2014. 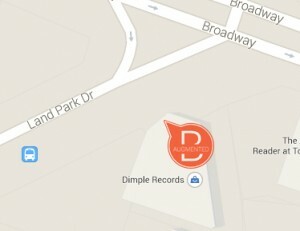 Follow the map within the App. 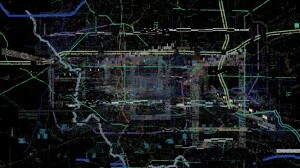 The map illustrates where the virtual artworks are located. 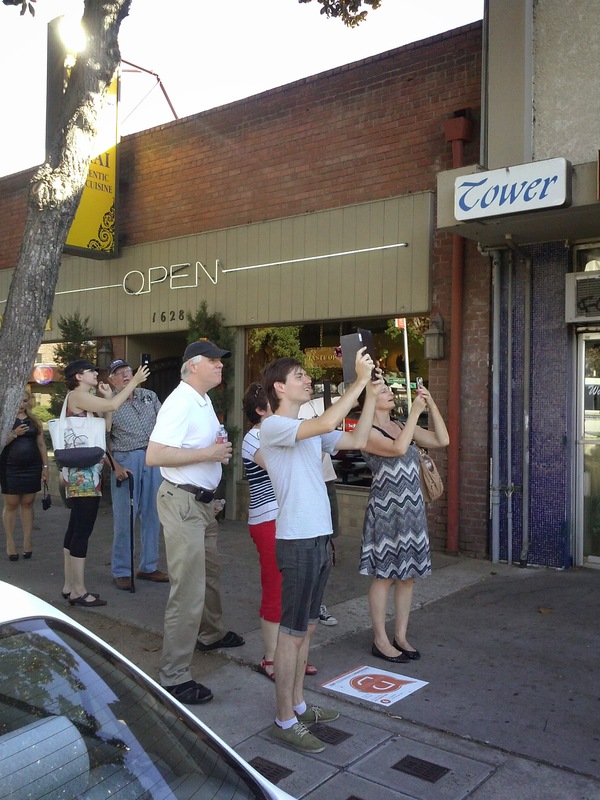 Aim your device’s camera at the location shown on the map to view artwork in real-time on your phone. Your tablet or wireless device does not have to be connected to a wireless network to view the project.